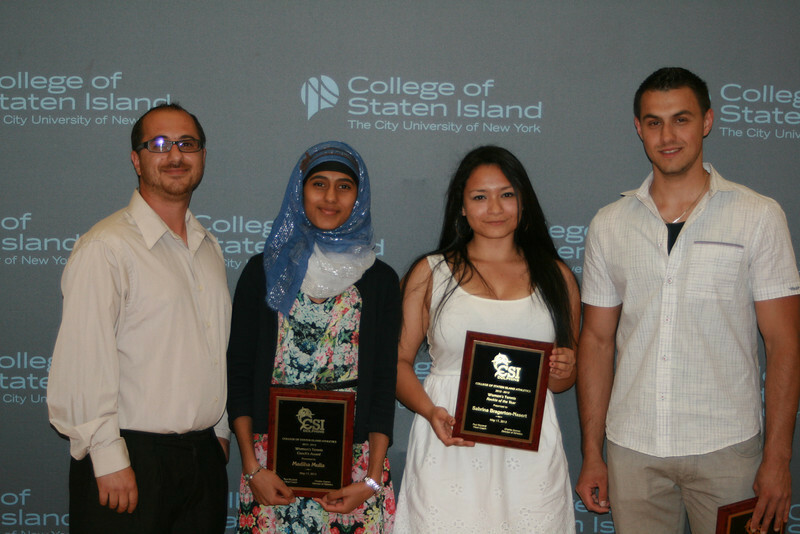 In the latest installment of a great tradition at the College of Staten Island, the athletics program spotlighted a host of its student-athletes, coaches, and distinguished staff members with its annual Athletics Awards Banquet held at the Sports & Recreation Center earlier this evening. A total of over 80 award winners were highlighted as part of the gala, among them members of CSI's 14 teams in 2012-13. All Photos by CSI Athletics. Photos by CSI Athletics.